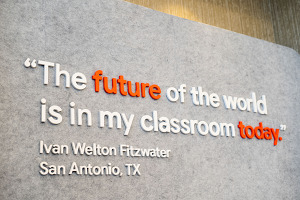 Since the beginning, our aim with G Suite has been to help companies transform the way they work with our suite of cloud-based collaboration and productivity apps. Today we’re announcing major updates to help the more than 4 million paying businesses that use G Suite work safer, smarter and more efficiently. 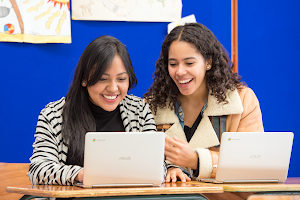 This includes an all-new Gmail, with a brand new look on the web, advanced security features, new applications of Google’s artificial intelligence and even more integrations with other G Suite apps. We’re also introducing a new way to manage work on the go with Tasks. Keeping your data secure is our top priority, which is why last month, we introduced new phishing protections to help address Business Email Compromise (BEC) threats—or when someone impersonates an executive to get sensitive information. With these new protections, Gmail has helped block 99.9 percent of BEC attempts by warning users or automatically moving messages to spam for them. Today, we’re introducing a new approach to information protection: Gmail confidential mode. 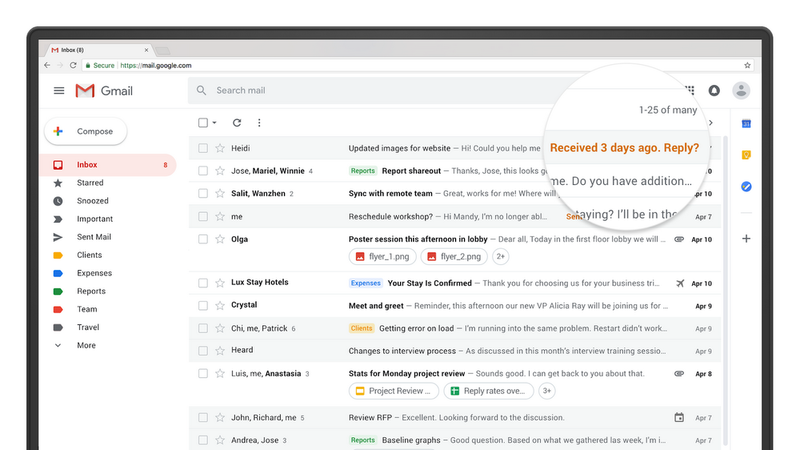 With confidential mode, it’s possible to protect sensitive content in your emails by creating expiration dates or revoking previously sent messages. Because you can require additional authentication via text message to view an email, it’s also possible to protect data even if a recipient’s email account has been hijacked while the message is active. New confidential mode in Gmail lets you set expiration dates for sensitive information. 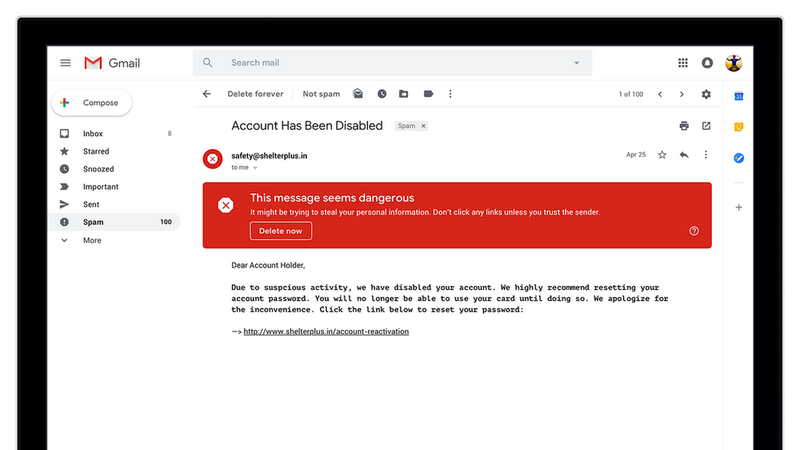 We’ve also redesigned our security warnings within Gmail so that they are simpler to understand and give a clear call to action to employees. These bigger, bolder warnings will help you be even more informed when it comes to potentially risky email. Bigger, bolder security warnings help you keep your company’s confidential information safe. And it’s always worth a reminder: we do not scan Gmail for the purposes of targeting ads, and there are no ads shown in Gmail for G Suite customers. Most of us get more emails than we can deal with at one time, and sometimes things slip through the cracks. With Nudging, Gmail will proactively remind you to follow up or respond to messages, making sure you don’t drop the ball. Now Gmail will intelligently (and subtly) “nudge” you when you need to prioritize actions in your inbox. Last year, we introduced Smart Reply to our Gmail mobile apps. Smart Reply processes hundreds of millions of messages daily and already drives more than 10 percent of email replies on mobile. Today we’re bringing Smart Reply to Gmail on the web to help you respond to messages faster. New notifications on mobile help you stay focused on what’s important (and eliminate clutter, too.). We’re also introducing new features on mobile to help you minimize interruptions and clutter. High-priority notifications is a new setting that only notifies you of important messages, keeping interruptions to a minimum. Gmail can also recommend when to unsubscribe from mailing lists. Using intelligence, unsubscribe suggestions appear based on cues like how many emails you get from a sender and how many of them you actually read. You’ll start to see these notifications show up in your inbox over the coming weeks. We redesigned the Gmail web application to help you take action even quicker. Now you can see and click attachments in your inbox before ever opening a thread. You can also hover over messages (you don’t have to click into them) to do things like RSVP to a meeting invite, archive an email thread or snooze an email until the time is right. 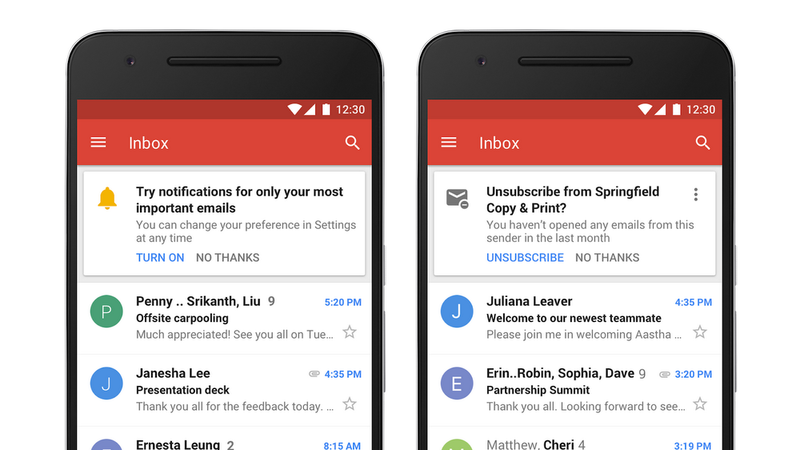 Gmail’s new design helps you take action quicker. As a part of the redesign, we’re also tightly integrating Gmail with other G Suite apps you use every day. Now you can quickly reference, create or edit Calendar invites, capture ideas in Keep or manage to-dos in Tasks all from a side panel in your inbox. The side panel also makes it easy to access Gmail Add-ons, too, like third-party business apps you might use. This way you don’t have to switch between tabs or apps to get work done. You’ll start to see the new side panel integration in other G Suite apps in coming months—like inside of your Calendar, Docs, Sheets and Slides apps. Use the new side panel in Gmail to access all of your favorite G Suite apps, like Google Calendar. New native offline capabilities in Gmail on the web can help you work without interruption when you can’t find Wi-Fi. Search, write, respond, delete, or archive up to 90 days of messages, just as you would working online, but offline. 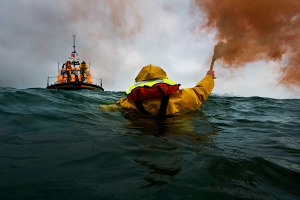 Teams can start using offline capabilities in coming weeks. Track projects and meet deadlines with Tasks’ refreshed design on the web and brand new mobile apps. 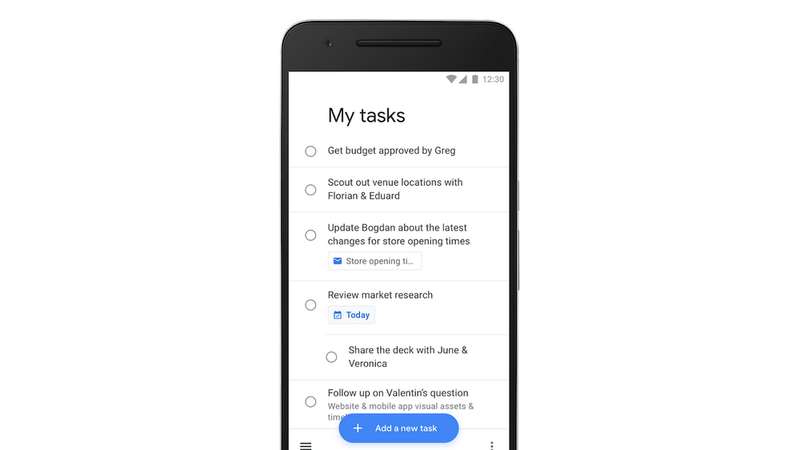 Like we mentioned, we’re introducing an all-new Tasks on web, as well as new mobile apps to help you handle work on the go. You can use Tasks to create tasks and subtasks, and even add due dates with notifications to help you stay on track. And because Tasks closely integrates with G Suite, you can simply drag and drop an email from Gmail into Tasks to create a to-do. Tasks with due dates can also appear in your Calendar. You can download the new Tasks mobile apps from the Google Play Store or iOS App Store today.